June is looking pretty great in the way of workouts, friends — here's a few (okay, a lot) that you should definitely check out! By Josie Sepel·	 5/31/2018, 11:21 a.m.
Have a fun fitness event that’s not on our list? Email bking@phillymag.com the details! BE WELL PHILLY BOOT CAMP Who says you can’t have it all? With a wide array of fitness classes (um hello, “Dance Like Beyoncé’s Watching” with Alexis Rose), wellness classes (I see you, “Meal Prep Like a Boss” with Julie Lichtman), inspirational speakers, and a marketplace filled with vendors such as BarkThins, Spin-N-Glo, and Athleta, Be Well Philly’s Boot Camp is a day for the mind, body, and soul. To top it all off, the event includes a healthy breakfast, lunch, and happy hour; so come for the workout classes, stay for the food, and join in on the fun at Be Well Philly’s Boot Camp in the Drexel Recreation Center. Buy your tickets here. $55, 9 a.m. to 3 p.m.
BELMONT PLATEAU BOOT CAMP What could be better than hill repeats and core workouts? Doing them with friends and a view! This hourlong Core Fitness boot camp is open to everyone, no matter where you are on your fitness journey — so no excuses! Get tickets here. $20 (get $10 off with promo code BeWell10), 9 a.m.
FREE OUTDOOR YOGA We can’t say “no” to outdoor yoga. Breathe, stretch, and ease your way into summer every Monday at Dilworth Park. There’s no need to register, but don’t forget your mat! Free, 6 p.m.
FREE DANCE PARTY Dance the night away at the Kimmel Center’s monthly Latin music and dance event. Perfect your salsa and bachata on the floor as live bands take turns performing on stage. This month, joining the regularly scheduled La Noche Band will be Cuban musicians Ariacne Trujillo Durand and Yusa Lopez Bridon. So put on your dancing shoes and get ready to party — and, of course, to sweat! 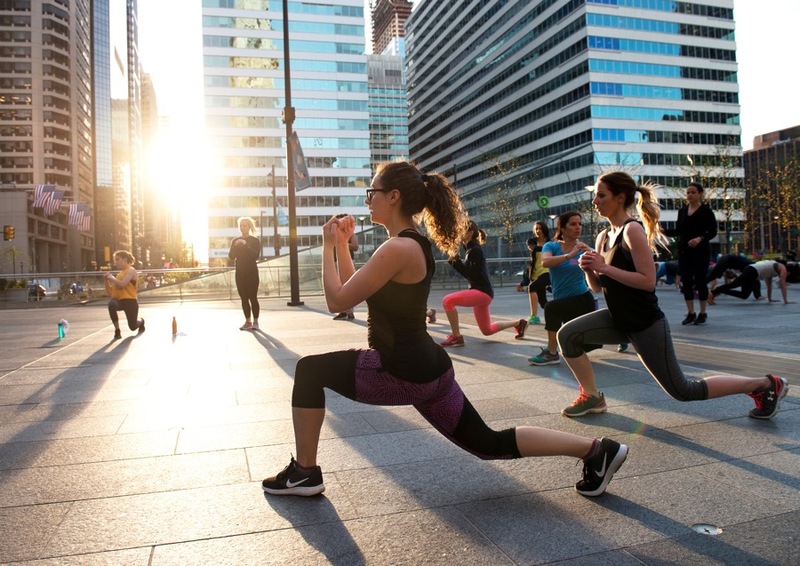 Free, 7:30 p.m.
FREE OUTDOOR BOOT CAMP Come to Dilworth Park’s body-blasting boot camp any Tuesday in June to let the trainers of Optimal Sport Health Clubs find new ways to push your body’s limits. Free, 6 p.m.
COMMUNITY YOGA AT COLORSPACE LABS Nighttime yoga. Color changing studio. Need we say more? Ashley Tryba’s yoga classes will relax your mind, stretch your body, and leave you refreshed and eager to return. Suggested donation of $10 to $20, 6:30 p.m.
FREE VINO AND VINYASA FOR BRIDES Round up your bride tribe and head to Bella Bridesmaids in Old City for a session of vinyasa yoga geared toward relieving your wedding-related stress. Post-stretch, all are welcome to enjoy in a little wine and cheese pairing to reward you for your hard work in class. Class is free but you should RSVP to philadelphia@bellabridesmaid.com, 6 to 8 p.m. UNDERWATER BOOT CAMP If combining your workout for the day with a pool party sounds like a dream come true, then this event was made for you! Starting June 7 (the first of three, three-week sessions), Fitness Alive and Aqua Vida are hosting water workouts at Riva Health and Wellness. This kickoff event, featuring an underwater boot camp and floating HIIT workouts, will be followed by champagne and massages. Get your ticket for the kickoff event here. $30, 6 to 8 p.m. STRETCH AND SIP YOGA Do you have trouble motivating yourself to work out? Philadelphia Brewing Company is hosting a weekly yoga class that provides a good incentive: a refreshing pint of beer. The class takes place in the Brewery’s tasting room and offers a refreshing mix of Vinyasa and Hatha yoga that centers your mind and loosens your body. The event might not be BYOB, but don’t forget to bring your own mat! $15, 6 to 7 p.m. GIRLS ON THE RUN 5K Help the participants of Girls on the Run celebrate the end of their season with a fun 5K at the Navy Yard. You can either run on your own or sign up to be a running buddy for one of the participants. Either way, you’re guaranteed a good time. Register here, $25 to $40, 9:30 a.m.
FREE BYO BABY BARRE CLASS Did someone say bring your baby to work(out) day? 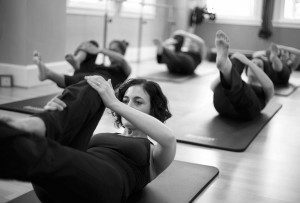 This Y2B Fit signature barre class encourages new moms to bring their kids with them as they strengthen the parts of their bodies affected by pregnancy and childbirth. Sign up here. Free, 10:30 a.m. to 11:15 a.m. OUTDOOR YOGA Hosted by Y2B Fit and Pop Up Yoga Fairmount, this event will combine barre and yoga exercises into one wonderful hour of outdoor fitness. Email popupyogafairmount@gmail.com to reserve a spot. $10, 12 to 1 p.m. BOOT CAMP AT THE ART MUSEUM What better way to start your Sunday then by working up a sweat on the iconic Art Museum steps? Join Core Fitness in their monthly full-body “Philly Core” workout. Sign up here. $20 (get $10 off with promo code: BeWell10), 9 a.m.
PAINE’S PARK YOGA Need a relaxation break? You’re in luck! Core Fitness is offering yoga, music, and drinks all mixed together in one epic happy hour at Paine’s Park. Everyone is welcome! Register here. $20 (get $10 off with promo code: BeWell10), 6:15 p.m.
FREE BARRE3 SERIES AT THE LOGAN Looking for a fun, but challenging workout that will have you returning week after week? We suggest trying Barre3 (if you haven’t already). 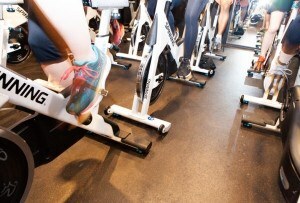 Sample their cardio-filled class at their free pop-up at The Logan Hotel, which is being offered all summer long. All you need is a water bottle and a yoga mat and you’re ready to go! Sign up here. Free, 6 p.m.
FRIDAY NIGHT FIT CLUB This event is guaranteed to end your week right. Located on the Art Museum steps, this Core Fitness-led boot camp-style class will let you catch glimpses of Philly under the setting sun, ensuring that you smile as you sweat. Buy tickets here. $20, 6:15 p.m. OUTDOOR BARRE AND BRUNCH This event combines barre with pizza — what more could you want? Not only do you get to do a killer Y2B Fit barre workout in the beautiful outdoors, but if participants grab a pizza at the Chestnut Hill Brewing Company after class, they also get a free beer! Sign up here. $10, 10:45 a.m.
NIGHT NATION RUN With a dance party at both the start and the finish, this running music festival will even have even non-runners itching to lace up their sneakers. More rager (that’s what the kids call parties these days, right?) than race, this 5K course is full of deejays, light shows, and confetti, making it one run you definitely don’t want to miss! Sign up here. $60, 7 p.m.
YOGA WITH PUPPIES In case you thought yoga couldn’t get any more fun, let us introduce you to puppy yoga. Co-hosted by Morris Animal Refuge and Amrita Yoga and Wellness, this event taking place at The Logan Hotel offers you a chance to stretch your body and play with puppies. All of the puppies will be up for adoption and proceeds benefit the Morris Animal Refuge. Sign up here. $25, first session is at 1 p.m. and the second session is at 3 p.m.
SUP YOGA Four words: yoga on paddle boards. This fitness class, brought to you by Yoga Habit and Aqua Vida, doubles as an opportunity to help the earth. After the class, participants will put their new balancing skills to use by paddling around the harbor and helping to clean up surrounding waters. All of the event’s proceeds benefit local water conservation efforts. Sign up here. 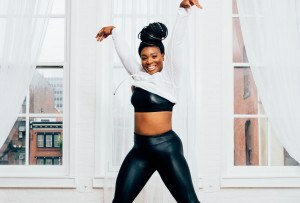 $35, 2:00 p.m.
FREE WEST PHILLY WORKOUT SERIES Bored of working out alone? You don’t want to miss out on this monthly opportunity to indulge in a 45-minute sweat session, preceded by a run, with the folks of Philadelphia Runner. This event is the first of four workout sessions in the series that will have participants running around the city and working out with local trainers. Register here. Free, 6 p.m.